The community in Braganca was important, and welcomed 3000 additional Jews, expulsed from Spain in 1492. Therefore, the community played a major role in the local economic and social growth. The community relived from 1925. 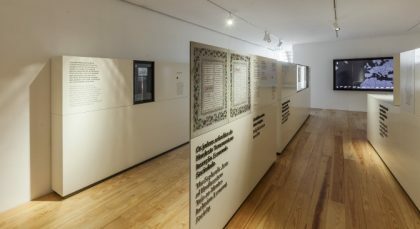 Opened in 2017, the two-story Sephardi Interpretive Center is dedicated to the life of Jews under the persecution in the fifteenth and sixteenth centuries and focuses on the history of New Christians, those who were forced to convert from Judaism to Christianity under duress during the Portuguese Inquisition, which began in 1532. The building’s opening was attended by the mayor and leaders of Portugal Jewish community. The museum features artworks and objects about the anusim and a large monument in the shape of an olive tree, whose branches are emblazoned with the names of locales that had anusim communities.